Deedenow Cinema Production Afghanistan: And now seven years after 9 /11 still …. People are still killed in Afghanistan whether by blind suicide attacks of the terrorist insurgents or by mistakenly air strikes of NATO or the Coalition Forces while we are in the seventh year of the new era that was supposed to be the period of rest and rehabilitation of war torn Afghanistan after years of chaos and disorder in this country. The disastrous incident of 9/11 in 2001 in which thousands were killed and injured within the WTC Twin Towers in New York, turned Afghanistan towards another direction when it had already become a nest for the international terrorists in that period. The Al-Qaeeda attack on the twin towers in 11 September 2001 was the first conspicuous appearance of the new phenomenon of terrorism in the world, which had already grown in unapparent way, strong enough to threaten the world but was never noticed by the international community by then or was always ignored. As the targeted country by Al-Qaeeda in 9/11 2001, the United States of America took the major responsibility in this global campaign and led the Coalition Forces towards Afghanistan to chase, capture and eradicate the terrorists who were raised in this country. The richer European countries took remarkable responsibilities along with the United States and the smaller ones each took some responsibilities as well in this mission, so the war against terror began when the wreckages of the twin towers were not yet cleaned up, and the fear of 9/11 attacks were still overshadowing in the global environment. On those days the words like extremism, terrorism, fundamentalism, Afghanistan, Osama Bin Laden, and Al-Qaeeda and… tend to be heard more in the media on daily basis and every one was anxious to hear what happens to the terrorism, how will the global campaign works against the terror in Afghanistan and how it affects the global security and ….. 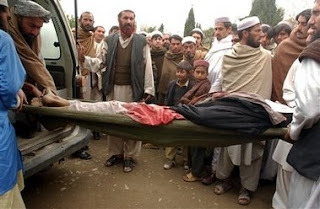 Facing with the tyranny of the Taliban regime for six years, and before them coming out of a deadly civil war for two years, the Afghans were well prepared for the acceptance of the help of any country of international community to rescue them and bring changes in their horrible situation. Hearing the campaign against the terror the Afghans had found their rescue angels who would release them from a fundamentalist sovereignty as well as bring peace and progress for in their country. So the global campaign was welcomed by the Afghans and began successfully while no one knew about how it would work and then what would the consequences be. What the Afghans were imaging to achieve with the global campaign against the terror was a country without violence, full of piece, justice and progress thus they welcomed the foreign troops and presence of international community member states in their country as the rescue angels and now let’s see what the situation is like. Later on after the war began and the Taliban were overthrown from power in Afghanistan, there were different opinions about why the 9/11 attacks took place that was followed by a global war against the terror led by the USA, so there have been cons and pros of continuity of this war against the terror since then. In the beginning when there was still fear of the 9/11 every where in the world, the global campaign against the terror in Afghanistan was supported internationally with more pros but when the war in Iraq began two years later with a bad impression. The war in Iraq was later understood to be a mistake by the USA, and it decreased the resources and attention for one unfinished war in Afghanistan; as a result the war in this country become tiresome and long lasting, and not enough things were done in the arenas of reconstruction where people would see changes and betterment in their lives. People say if the international community was more serious and sensitive with the re-empowerment of terrorism in the first years of the campaign, now there were no changes for the rehabilitation of the Taliban and Al-Qaeeda insurgents in Afghanistan so the resources allocated for the long lasting war, could be allocated for the reconstruction, now there would have been a better time for the Afghans with many changes and advancements in their lives. The pros of the campaign against the terror reasoned that the terrorism does not have a confine and could threaten the whole world in any time and in any form thus it is the responsibility of all international community members to encounter the ominous phenomena of terrorism with all abilities and resources they have while the cons denied the danger of Al-Qaeeda, Taliban and similar groups like them. 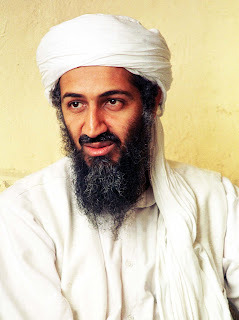 Some said the Al-Qaeeda leaders and senior members are the people that were fed and grown by the Americans within Afghanistan and Pakistan during the cold war against the USSR in 1980s, and now they are turned against America, so the Americans should have pay back the compensation of supporting those religious extremists. 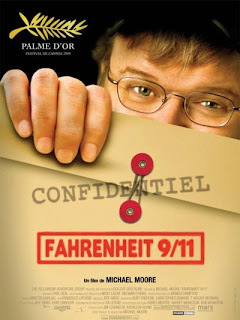 Some argued the 9/11 was a dramatic attack to begin the war in regions of oil by America for its dominance in those areas; books were written and films and documentaries were made in this regard. However, in spite of all those contradictions about this global campaign, many countries came together for a period to fight against the new born phenomena of terrorism but the ambit of this phenomena is not yet clearly measured and evaluated, when and how would it be possible to eradicate it?! This way it was taken for granted and became out of focus again. Of course the 9/11 attacks has drawn the attention of the world towards Afghanistan as the primary victims of terror, to help it fight against terrorism and stand on its feet, but only war and a long lasting war was not what the people wanted. Afghanistan as the main base of terrorism on that time was the place where the campaign should have begun and the terrorists should been chased, captured, defeated and eradicated by the international community forces under the authorization of the UN. Thus the Afghans gave a hand to the international community to eradicate the main basis of terrorism in their home as well as to stabilize the security in the country for the safety of the civilians and progression of reconstruction not only to secure them but to secure the whole world that was threatened by terrorism. And now after seven years of this grueling war in Afghanistan it is important to know what we have achieved and what we have lost so far. Of course, the life is better than the time of the Taliban in some aspects, but it is still deadly and dangerous for millions of innocent Afghan civilians who have nothing to do with the politics and politicians. These people just want to live peacefully as the other humans in the peaceful countries but are still killed in the suicide blasts or in the mistakenly air strikes of the NATO of Coalition forces. 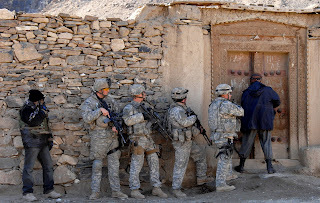 It is clear that the Taliban terrorist insurgents misuse the civilian residential areas as their own defending shields but it is the responsibility of the NATO and Coalition forces to be more careful in their air strikes as well as to do more for the strength of the National Army of Afghanistan to be able to defend their land against the insurgents. One thing that is still an unresolved enigma for most of the people, is the on going rehabilitation and re-empowerment of the Taliban insurgents in every year in the presence of tens of thousands of armed forces of more than forty countries in Afghanistan, which means there is a real need of change in the policies and tactics of the NATO and Coalition forces in this country if the world really want to save Afghanistan. 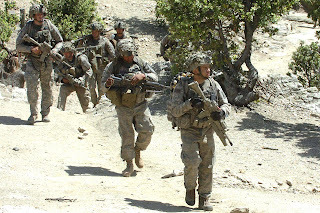 I believe it is the responsibility of the international community especially the United States of America as one of the main supporters of Afghanistan in this war, to see the issues through realistic eyes and strengthen the Afghan National Army rather than bringing more military forces into Afghanistan which needs more budgets and is less sufficient for the result of anti terror war that could be achieved by the Afghan Army if they have enough resources. In this regard it is said; “teach me fishing, so no need to give me fish”. Instead it would be better to allocate more of funds for the strength of the Afghan National Army and National police, and in the other arenas such as education and reconstruction of infrastructures to better the lives of more people in Afghanistan. As a short term we may need rifles to fight the terrorism, but in long term we surly need more pens and books than rifles to accomplish this goal, as the history of just seven years back in our hand proves it. And what is life like in Afghanistan seven years after 9/11? People need freedom and justice. That is what they have fought for.